Zion is filled with awe and inspiring landscapes. Bike Zion is here because we are passionate about the park and the epic adventures around it. Bike Zion wants to make the adventures and the beauty of this area available to you because we care. Bike Zion is a family owned business. Dean and Jill Woods want all visitors to the Park and bike riders the Best experience possible in the Park. We have been in business for over 20 years. 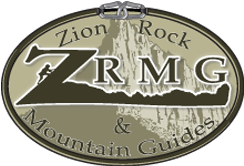 We are one of the original guiding companies in the Zion Area. The park is vast and complex, Tourists have a difficult time finding the right place to go for their skill level and sense of adventure. Bike Zion is the source to direct adventurers to breathtaking views and rides that they would not be able to locate and experience on their own. Bike Zion provides experienced guides who are familiar with the park and have been trained in mountain biking and are passionate about the riding in the area. We are here to show you this awesomeness. John J "Family canyoneering trip" The trip was awesome and well worth the fee. Our guide Stewart was instructive and patient with my 17,13, and 10 yo daughters. The views were amazing and we all had a great time challenging ourselves to do something new. We did about 7 separate rapells. Our trip to Utah wouldn’t have been the same without this experience. 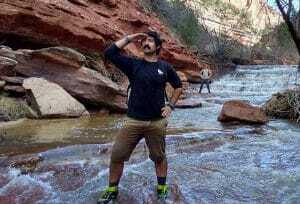 Great guys at Zion Rock and Mountain guides, Jake our guide was awesome, We had such a great time. The tour guides were very friendly and patient with our young children. They were very knowledgeable about the park and answered all of our questions. They chose a suitable route for our inexperienced group and continuously asked if we were doing alright, needed a break etc. We just happened to drop by the first day we got there. We really appreciated all the help and friendliness they gave us. Larry went out of his way to make us happy. They really care for people. 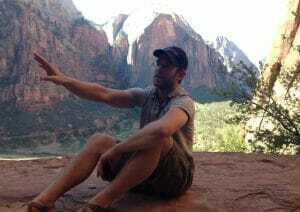 This review is for the Zion Sunset Cruise with Ben on July 22, 2017.This was a really new and positive experience for me. I had very little expectation but was nervous and excited nonetheless. I booked a little Zion trip for my 26th birthday and was looking for different things to do besides the normal hikes through a national park. Came upon this website and just started browsing. I ended up calling really last minute maybe one week before and I booked the sunset jeep tour.I loooooved it! My trip was a lot of fun and the guide was very experienced and knowledgeable in the local trails on the trip. Kathleen made the trip enjoyable. 5.0 star rating 4/29/2018 Great day canyoneering in Dixie National Forest with Sonny!! Learned a lot of technical movements, went for a swim, and scrambled out of a canyon. ZRMG provided us with wetsuits and dry bag as well since the water was pretty cold! Gooseberry Mesa Mountain Biking Marley was a wonderful guide! Friendly and tailored our trip to match our skill level. Gooseberry Mesa was fantastic! We had a short day climb with Sonny- he did a great job - he was very experienced and taught many techniques while making it fun for all. Would definitely do it again. You must have fun going to the Park..
You must have fun going home from the park. So Stuart decided to live in the Park and not leave. Stuart has many years of experience of guiding in the Park. Yoga in the Park. Wilderness Therapy in the Park. MTB, Canyoneering, Mountain Climbing, Crisis Management, Addiction Recovery. The best place for all of these is in the Park.